« I’m teaching a workshop on how to write a successful cookbook in Santa Fe, Sept. l7-21! 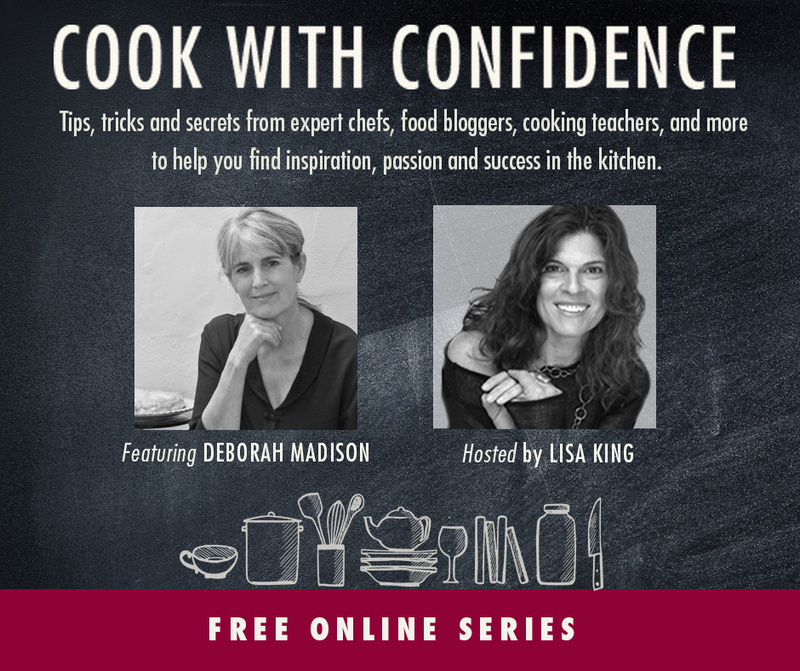 I recently did an on-line interview with Lisa King who has a blog called Cook with Confidence. It was great fun to do and if you’re at all unsure of yourself in the kitchen, I hope you’ll take a look. The link to my piece is https://cookwithconfidence.me/DeborahMadison, and Lisa’s site is cookwithconfidence.me. It’s a worthwhile site and good work that she’s doing. 1 comment to Cooking with Confidence!